Accountancy is mandatory for all companies In Italy. Any company form you decide to establish including sole traders and dormant companies will need to complete returns and file accounts. It is important to ensure that you have an accountancy firm you can trust which has an open and international work ethic. Companies in Italy has a multi-lingual team of accountants available to assist with the onerous task of liaising with Italian financial and administrative bodies. Regulations differ according to size of the company, the capital invested and the annual turnover. – Please contact us for further advice. Our Italian accountants and Italian tax advisors can assist you with all aspects of accountancy, tax filing and payroll, for whichever type of company form you require. Statutory books must be stamped by a notary or the chamber of commerce and kept in the place in which their registered office is located. In Italy, as required by the civil code, the financial statements are made of the balance sheet, the income statement and the notes to financial statements. The shareholders at the ordinary annual meeting approve the financial statements that Company’s directors must submit to the Chamber of commerce in the following month following this. These statements and the management document are public documents and anyone can have access to the information contained in them. Our dedicated Italian accountants can deal with all your local accounting requirements. Please contact us for further information and an individual quote according to requirements. If you are setting up in Italy and you have local staff they will need to be put on the payroll. We can effectively assist you in reducing your Italian administration burden by acting as an outsourced finance department in all matters relating to payroll and employment issues. How Italian tax relates to income. All residents (both individuals and Companies) must pay taxes on all their worldwide income. Non-residents are subject to Italian taxation only on income earned or paid in Italy. Please contact us for further details and initial advice on how this could relate to your company. Our local Italian tax advisory team may be able to suggest ways of reducing your tax liability, dependent upon circumstances. Italy falls under the EU VAT regulations, and is part of the EU market economy and follows European Union VAT directives adopted by other member states. If you are trading or you are planning to trade within the EU, you will need to submit to the tax agency a request to insert your VAT number in the " VIES". VAT returns need to be submitted in Italy on a quarterly basis for a turnover under EU50,000 above this rate returns are filed monthly. After second year VAT returns are filed monthly for all companies.VAT has to be paid yearly on account after the first year of registration and our accountants will be able to advise you on your specific requirements. 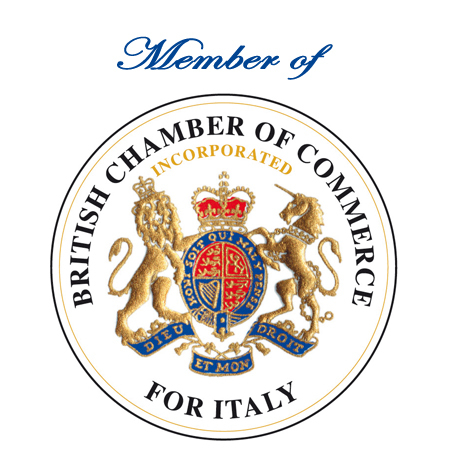 Companies in Italy can assist with all aspects of VAT registration, filing returns and tax payments. Our multilingual staff are available to assist with any issue relating to this area however large or small. Please call us today for a FREE initial consultation. Bookkeeping is a statutory accounting requirement that documents your company’s economic activity by recording income statements and balance sheets. Although bookkeeping is a legal requirement, it can be beneficial for gaining an overview of your company finances. This will enable you to re-evaluate your budget to improve your business’ efficiency and develop its activity. With our team organising all your bookkeeping requirements you can enjoy the benefits without the laborious process. Please contact us for further information or a quote. VAT registration is mandatory for companies trading within the EU. International trading is prohibited unless the company has an Italian VAT number (Partita IVA) and an International tax number (Registrazione del VIES). VAT returns should be submitted monthly, with quarterly returns permitted for companies with lower annual turnover. The standard rate of VAT in Italy is 22%. Reduced rates of 10% and 4% for certain goods and services are available. We can maintain and file all your company VAT returns on your behalf, taking care of all the administration involved. Declaring tax returns with the Italian Revenue Agency will also keep your tax liability up to date, ensuring that you are receiving any applicable tax relief. Contact us for further information about Italian VAT and our services. Company accounts must be kept in accordance with the Italian Civil Code and an audit is required for joint stock companies and companies with a share capital of €120,000 or more. We can organise all the time consuming accounting for your company, to ensure that all legislation is adhered to and your company’s good standing is maintained. Contact us for more information about how our services can help you and for pricing.